Whenever any update to WordPress core version, plugins or themes become available in wp repository, WordPress automatically notifies us in wp admin dashboard so that with just a few clicks, it could update itself and its components to the latest released version. This automatic update notification feature requires manual approval and intervention to for the update to be installed. Unless, we click on update button, the update process doesn’t run. So, to solve this issue, while browsing word press plugins directory in quest to search for interesting and useful plugins, we stumbled upon a plugin called ‘Automatic Updater‘. As the name suggests, whenever a new update to either WordPress core files or installed plugins or themes are available, it runs the update and sends you the result of the update in a notification mail. This way, your blog can always stay updated to the latest release. Download Automatic Update plugin from here or search for it in install plugins option in wp admin interface. Note: This plugin will not work if your WordPress installation can not process update from the web interface i.e. if you use FTP to to install plugins manually instead of using wp admin panel (This happens on some webhosts where file permissions are not correctly set). So, this is very useful if you do not want to go through hassle of doing simple update maintenance work on your self-hosted wordpress blog. Also, I recommend installing this on your blog if you do not often look after your blog i.e. if you do not visit your wp admin dashboard often (For example, in case of micro-niche website or such websites which are not updated with fresh content regularly). This is advanced plugin, if you have programming or coding knowledge, you can customize it to suit your needs as it has built-in hooks and filters which can be utlized to run few preliminary checks, jobs before and after the update or to add exception to select themes or plugins. Check its documentation page for more details on the available filters. 1. Sometimes, plugins developer release updates in haste and the update might cause something wrong, inappropriate or trouble on your website. So, manual monitoring after every update is necessary. I personally update my blog and after updating, I always check source code of my posts/pages to find out if there is any html syntax or other validation error because sometimes very pro-developers make certain obviously easy mistakes. 2. I read release notes of plugins before updating so as to understand exactly why the update is rolled out. This step is equally necessary as there might be something new in the update that you might not prefer at all. So, by manually updating plugins, we get chance to read the release notes, changelog before making the actual move. 3. 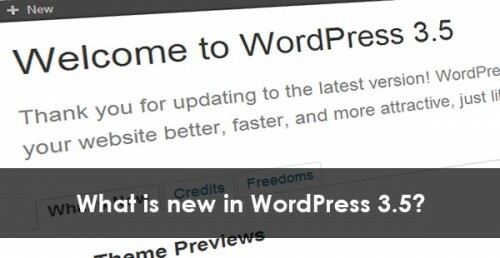 The plugin updates the released plugin, theme or wordpress version as soon as fresh update rolls out. And as you know that during update process, wordpress go into maintenance mode which may make your website unavailable for few seconds or maybe, a minute, and if this happens at the busiest hour by chance i.e. at time when your website receives most of the traffic, and what if the update breaks something, or makes some sort of technical problems on your website – This is disaster to the user experience. so, it is always advisable to run updates or other maintenance work at the least busy time of the day. Go here to find out when is the busiest and least busy time on your blog. I hope the above article explains some of all concerns you might have. Put your valuable views in comment section below. For more blogging tips, subscribe to our blog.